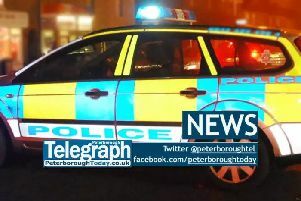 Kayleigh Collins (26) and her cousin, a 21-year-old woman, were on a night out in Peterborough on January 19 when they began arguing over cocaine in Edwards bar in Broadway. The argument got heated and the pair were removed by door staff. They both separately made their way to Collins’ house in Delph Court, Park Farm, where the argument became physical. In an attempt to break up the fight Collins’ partner, a man in his 20s, intervened and restrained her while her cousin locked herself in the bathroom and phoned police. Collins bit her partner on the arm, forcing him to release her, and ran into the kitchen where she armed herself with several knives. She was again restrained by her partner before officers arrived. Collins’ cousin and partner suffered minor injuries. Collins was handed an 18 month community order today (Friday, April 12) at Peterborough Crown Court after pleading guilty to making threats to kill and received no separate penalty for two counts of assault by beating.